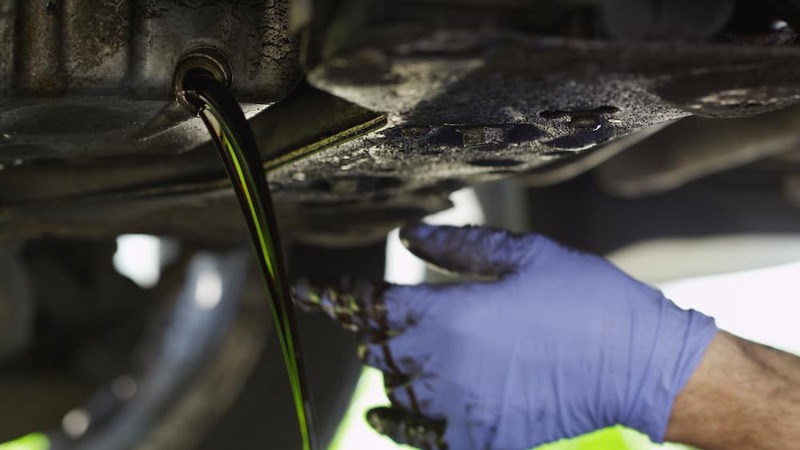 If you’ve never received professional oil service, you may be wondering, “How much is an oil change?” Oil change prices depend on your new or used vehicle, the oil it needs, and other variables. Usually, oil changes involving regular oil cost around $25 to $50. Triple J Guam’s service center can change your car’s oil and oil filter quickly — and for a fair price. Usually, synthetic oil is more expensive than conventional oil, and costs around $45 to $70. Synthetic is designed for higher performance and longer oil life, but it’s not necessary for all vehicles. It’s best to check your owner’s manual to see what type of oil is recommended. Consider a synthetic/conventional blend if you want a higher quality oil at a more affordable rate. Oil changes are one of the most affordable services. Dealers’ service centers usually charge just a bit more than the oil and labor costs. Use an oil change as a reminder for other services, such as an oil filter change and a tire rotation. Also, it’s a good time to bring up any other issues you’re having with the engine, steering, brakes, etc. Why Choose Triple J Guam for Oil Service? Our service team is familiar with a wide variety of vehicles, such as Acura, Honda, Lincoln, and Mazda. Is your vehicle covered under warranty? If so, your oil service may be performed at little to no cost to you. We offer a wide selection of ever-changing service and parts specials. Be sure to check out our current deals before scheduling a visit. Get an Fairly Priced Oil Change at Triple J Guam! Make the trip to Triple J Guam in Guam for fast and friendly oil service. Follow us for more car care tips, such as how often your oil should be changed, how often should you rotate your tires, and how to change the battery in your Mazda key fob. Next to getting your oil changed, tire care is among the most important forms of vehicle maintenance there is. Make sure that you’re rolling around the streets of Tamuning both safely and efficiently by following these tire care tips from Triple J Guam. Afterwards, if you’re still feeling lost, don’t hesitate to visit our professional service center….